Redmi 6₹ 8,216 has started receiving a new MIUI 10 Global Stable ROM version 10.2.2.0. The new MIUI version updates the Android security patch as well as fixes a list of bugs. The update addresses the issues related to the fingerprint sensor as well as fixes the notification panel. 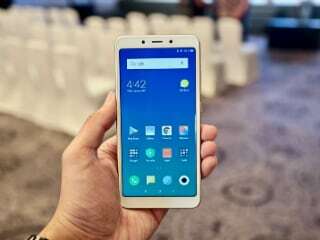 Alongside the new software update for the Redmi 6, some users report that Xiaomi has started rolling out MIUI 10.2.2.0 Global Stable update for the Redmi 6A₹ 5,999 as well. The smartphone previously received the new build in beta. According to the official announcement on the MIUI forums, the MIUI 10.2.2.0 update for the Redmi 6has now been started rolling out. The new update carries build V10.2.2.0.OCGMIXM. The official changelog provided by Xiaomi shows that the new software updates the Android security patch. The company didn’t mention in the changelog whether it has added the December 2018 Android security patch or the January 2019 Android security patch, though. Alongside the new Android security patch, the latest MIUI 10 for the Redmi 6 fixes the notification shade when the device has paused a voice recording. The update also addresses the issue that was affecting the delivery of SMS messages during conference calls. The official changelog also shows that the update fixes UI elements for switching between cameras during video calls. Further, it fixes the fingerprint sensor to make it operable during calls. The software update also resolves issues related to notifications, screenshots, and headphone accessories. 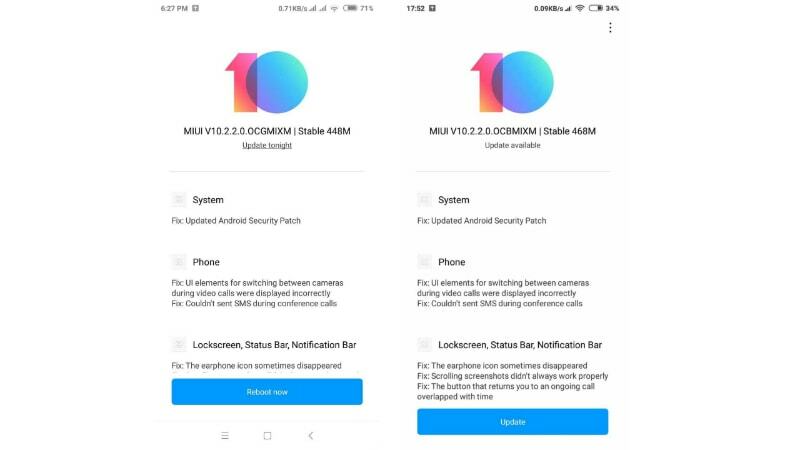 Xiaomi has provided Fastboot ROM and Recovery ROM links for the MIUI 10 Global Stable ROM V10.2.2.0OCGMIXM. As per user reports on MIUI forums, the latest MIUI 10 update for the Redmi 6 comes in 448MB of size. Some users on the forums have also reported the arrival of the MIUI 10.2.2.0 Global Stable update for the Redmi 6A with identical changes. The update apparently carries build V10.2.2.0.OCBMIXM and is 468MB of size.